We believe food has the power to heal. Are you Made for elevating the culinary experience? Looking for the opportunity to help change the entire idea of “hospital food”? Do you have what it takes to provide food that is fresh and fabulous – food that aids in the healing process? 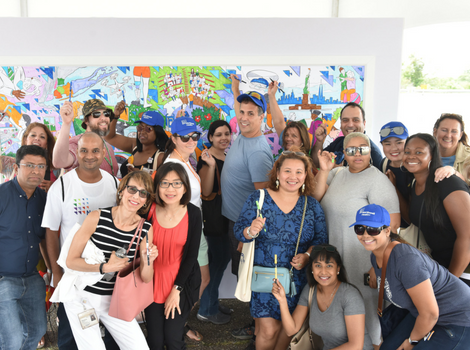 That’s the Truly Ambitious vision of Northwell Health led by their VP of System Food Services and Corporate Chef, Bruno Tison. And you can be part of it. 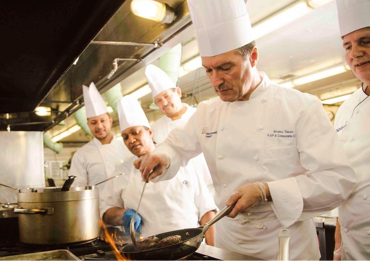 Michelin Star recipient Chef Bruno Tison is leading Northwell Health in re-imagining every aspect of food preparation and delivery – from re-engineering our kitchens to sourcing the highest quality local foods. Chef Tison’s goal is to deliver restaurant-quality food to patients, families and staﬀ. If you’d like to be part of an organization with this kind of bold, visionary leadership, we’d love to have you join us. 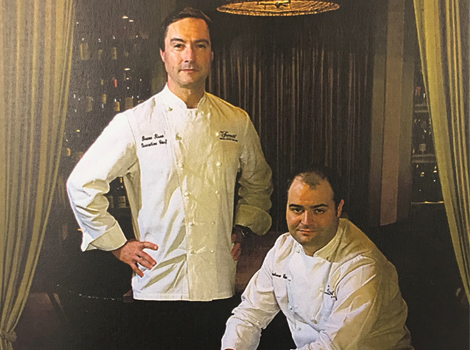 With award-winning, Michelin-trained chefs such as Bruno Tison and Andrew Cain, Northwell Health is committed to supporting its overall healing environment through the creation of an exceptional culinary product. When you become part of our culinary services, you’ll discover professional and personal advantages you simply won’t find anywhere else. Throughout our entire health system, we’re committed to advancing every aspect of food preparation and delivery. Take a look at some of the many ingredients that go into this integrated approach. We also create our own stocks and soups in most of our hospitals, and work closely with our food partners to develop healthier, non-GMO, natural desserts. In addition, we’re developing healthier “never fried fries” and other innovative vegetable concepts. The delivery of exceptional food begins with our on-site hospital gardens. We currently maintain nine different gardens across Northwell Health, including an urban rooftop garden and LIJ Valley Stream’s hydroponic garden. Our gardens generate a harvest of hundreds of pounds of fresh herbs and vegetables each season. This produce is used for our patient and cafeteria menus as well as onsite farmer’s markets. The gardens are integrated with our teaching kitchens to deliver an innovative experiential immersion in farm-to-table cooking. Employee volunteers tend the gardens while patients are able to enjoy the serenity afforded by our garden. At Northern Westchester Hospital, our Kids Dig Dirt program even involves nursery and daycare children in planting and harvesting fresh vegetables. We’re expanding and enhancing our in-room dining experience with a hospitality-focused model that gives patients greater control over what they eat (within prescribed diet order) and when they eat it. Food is cooked fresh to order and delivered within an hour. For example, North Shore University Hospital, one of our largest and highest-profile hospitals, will deliver complete in-room dining by 2019. In addition, Lenox Hill Hospital’s Signature Services include upscale menu, china, and linen table service. They will also be moving to full in-room dining by 2019. Northern Westchester Hospital, Phelps Hospital and Huntington Hospital led the way by converting to in-room dining a number of years ago. As part of our commitment to elevating health and wellness, we developed the concept of teaching kitchens. Last year alone, we introduced over 153 teaching kitchens. 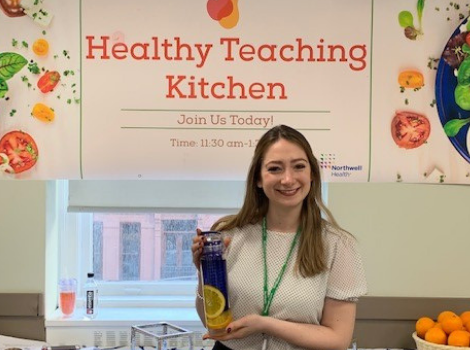 These kitchens represent a partnership between our chefs and registered dietitians to share Northwell Healthy Choice recipes, basic culinary skills, and nutrition education with team members, patients and visitors. More than that, many of our teaching kitchens reach beyond the walls of our hospitals to form strong community partnerships with senior centers, schools, community centers, and more. Our teaching kitchens are also used internally to support team building opportunities. Read more about our teaching kitchens here. We have developed an innovative approach to the food we offer our 68,000 team members in support of their health and well-being. 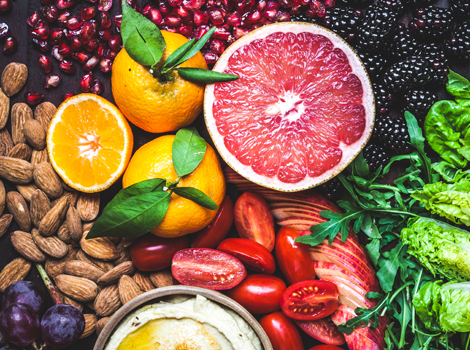 In partnership with our registered dietitians and chefs, we have elevated our foods standards and refreshed our cafe offerings using our Northwell Healthy Choice heart-healthy nutrition criteria. Partnerships with three local farms (Natural Earth Organic, Sang Lee, Hudson Valley) to enable team members to participate in a Community Supported Agriculture (CSA) program. Northern Westchester Hospital opening a New Center for Healthy Living in 2019. Our registered dietitians provide wellness education for the community, employees and local/national publications. We have developed an innovative approach to the food we offer our 66,000 team members in support of their health and well-being. In partnership with our registered dietitians and chefs, we have elevated our foods standards and refreshed our cafe offerings using our Northwell Healthy Choice heart-healthy nutrition criteria. First job in culinary: My first job was a pot washer. It always amazed me what the chefs were able to create and the respect the received. I was always thrilled when they asked me to do the simplest tasks. This early exposure coupled with my love for food and the arts, led me to becoming a Chef. Favorite thing about being a chef at Northwell: The ability to create a positive for a patient through the art of food. I am honored to be able to share my craft with patients, in hopes of brightening their day. Favorite meal at the hospital: Our Marinated Airline Chicken Breast with a Rosemary Chicken Demi. The flavors and presentation make this dish a standout for me. Frank is our First Cook here at Huntington Hospital and has been instrumental in the success of our room service program and high Press Ganey Scores. His culinary training is a formal education and then Hotels and Restaurants. His background, experience and goals is a great example of the culinary expectations and rewards of a career here at Northwell. Michael’s passion for using his culinary abilities to help others comes from his family. He believes that food is comfort and should give you a feeling like your grandmother made it. Michael is dedicated to giving back to the community, including co-hosting “Mike and Mike’s Lemonade Stand” to raise money for the Ronald McDonald House. He also volunteers at the Ronald McDonald House and many Northwell events. Michael Estrada has dedicated 19 years of service here at North Shore University Hospital. He started as a part-time food service worker and through talent and hard work has grown to his current role as Sous Chef. During his time here, he has been consistently recognized for his strong work ethic, determination, skill and culinary passion. In 2015, Michael was recognized by the Association of Healthcare Food Service Administrators for Outstanding Service. Frank was our first cook at Huntington Hospital and has been instrumental in the success of our room service program and high Press Ganey scores. 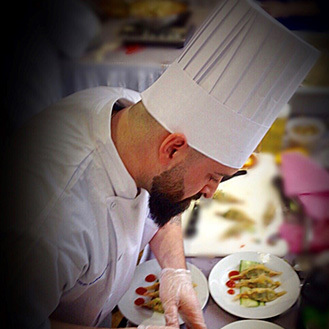 His training includes a formal culinary education as well as experience in hotels and restaurants. 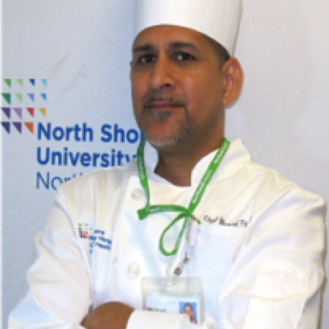 His success is a great example of the rewards of a culinary career here at Northwell. First job in culinary: My first job was a pot washer. It always amazed me what the chefs were able to create and the respect they received. 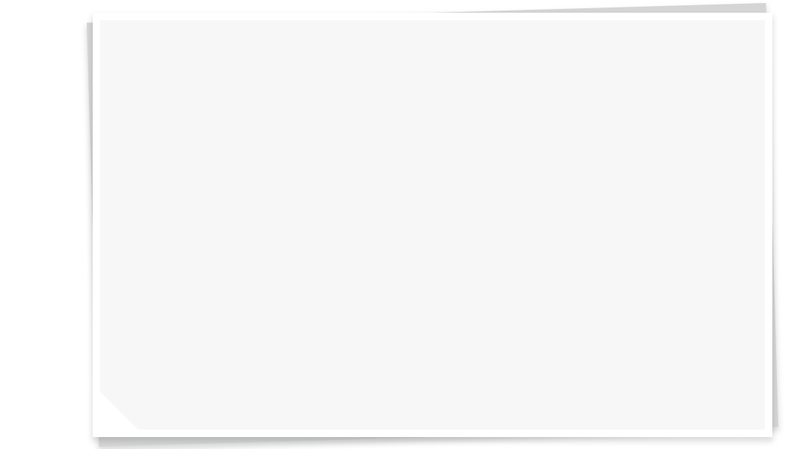 I was always thrilled when they asked me to do the simplest tasks. This early exposure coupled with my love for food and the arts, led me to becoming a Chef. Favorite thing about being a chef at Northwell: The ability to create a positive experience for a patient through the art of food. I am honored to be able to share my craft with patients, in hopes of brightening their day. Our organization is always on the move. If you want to keep up with all we’ve got going on, you’ll want to check out our culinary blogs. 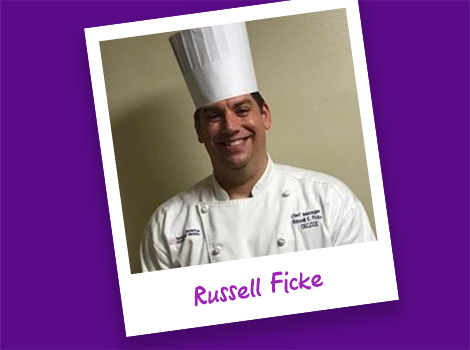 Meet Northwell's Chef Russ Ficke who's lost 50 pounds living out our wellness initiatives in his personal life. See what he's cooking up in our latest blog.